The village and ski resort of Flaine, often referred to as the White Desert because of its fluffy, bountiful snow, is among the largest ski and snowboard areas in France. 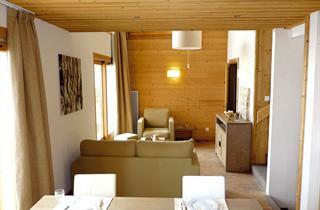 It is only 40 km away from Geneva, making it one of the resorts easiest to access. 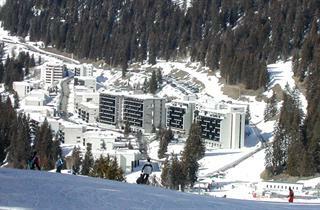 It offers 133 connected ski runs and lies at 1600 m above sea level. This resort has one of the best snow records in the country, with an active ski season from December to late March. Not only does it ensure great recreation opportunities, but there are also many possibilities for entertainment in the village itself. The pedestrian center offers lively, pleasant cafes, bars and eateries situated around two central shopping zones. 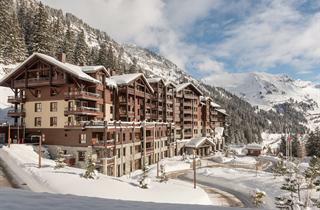 Classical and jazz music events take place regularly in Flaine’s cultural center.